A decade ago, to address the question, “Why are lianas most abundant in seasonal tropical forests across the globe?”, the Mechanistic Explanation of Liana Global Abundance (MELGA) relied on the assumption that lianas have deeper roots than trees and are able to tap water from relatively deeper soil layers, giving them a competitive advantage during drought. We assess whether the assumption that lianas have deep roots is corroborated by the literature. We accessed the initial MELGA paper and evaluated all papers citing it. To date, we found that two papers tested the MELGA, and only one corroborated it. Deeper roots in lianas are not the single mechanism explaining liana success, due to limited empirical support. 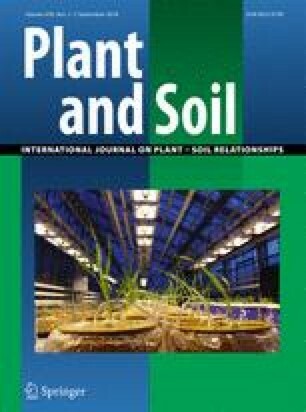 Instead, we propose that while liana success in seasonal forests may relate to deep roots for some species, it should not be viewed as the exclusive result of a single trait but as the possible result of multiple traits such as hydraulic redistribution, multifocal growing, drought resilience, higher water storage capacity, and acquisitive resource syndrome. Additional hypotheses should be evaluated along with predicted changes in plant community structure. These hypotheses should stimulate research on the mechanisms driving liana success in tropical forests. The online version of this article ( https://doi.org/10.1007/s11104-018-3730-6) contains supplementary material, which is available to authorized users. We thank an anonymous reviewer and R. J. Burnham for great comments and suggestions. TAA was supported by CAPES (88881.135051/2016-01) and BHPR by grants from FAPERJ (E-26/110.985/2013 and E-26/111.208/2014) and the Prociencia Scholarship.